Quick overview All too easily, we ignore or dismiss the fascinating possibilities of emptiness and non-existence. But without nothing, or rather what we've long taken to be nothing - we'd be nowhere. This title is suitable for those who are interested in science - or in the greatest mysteries of our world. Zero, zip, nada, zilch. It's all too easy to ignore the fascinating possibilities of emptiness and non-existence, and we may well wonder what there is to say about nothing. But scientists have known for centuries that nothing is the key to understanding absolutely everything, from why particles have mass to the expansion of the universe - so without nothing we'd be precisely nowhere. 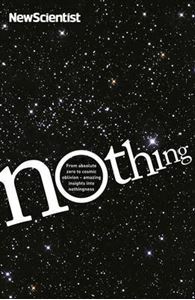 Absolute zero (the coldest cold that can exist) and the astonishing power of placebos, light bulbs, superconductors, vacuums, dark energy, 'bed rest' and the birth of time - all are different aspects of the concept of nothing. The closer we look, the bigger the subject gets. Why do some animals spend all day doing nothing? What happens in our brains when we try to think about nothing? With chapters by 20 science writers, including top names such as Ian Stewart, Marcus Chown, Helen Pilcher, Nigel Henbest, Michael Brooks, Linda Geddes, Paul Davies, Jo Marchant and David Fisher, this fascinating and intriguing book revels in a subject that has tantalised the finest minds for centuries, and shows there's more to nothing than meets the eye.